Archos has this month began unveiling it new line of 4th generation Android tablets, which will be launched under the Archos Arnova brand name. The first of such tablets to be unveiled is the Archos Arnova 97 G4 which now has a listing on the official Archos Arnova website. The Archos Arnova 97 G4 is fitted with a 9.7 inch, 1024 x 768 pixel capacitive multitouch display, and powered by a 1.6 GHz Rockchip RK3066 ARM Cortex-A9 dual-core processor, supported by 1GB of RAM. Other features of the Archos Arnova 97 G4 tablet include quad-core ARM Mali 400 graphics, and 8GB of onboard storage, that can be expanded with the use of the included microSDHC card slot As well as a 2 megapixel front facing camera for video calling, together with a 2 megapixel rear facing camera. 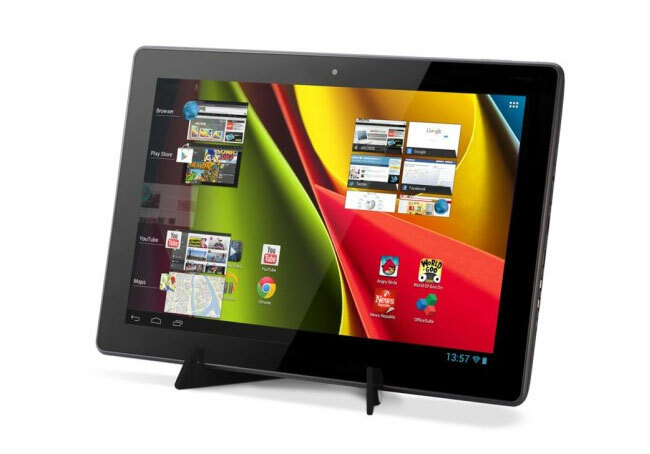 The Archos Arnova 97 G4 tablet comes preloaded with Google’s Android 4.1 Jelly Bean operating system, and measures 9.6″ x 7.5″ x 0.4″ and weighs around 1.5 lbs. Unfortunately no information on pricing or worldwide availability has been released as yet Archos Arnova 97 G4 tablet.